There will be times in your spiritually mismatched marriage when you’ll be challenged to look full face at your faith level. Do you really think your husband will embrace Christianity and become a new creature in Christ? Below is a wonderful example of “faith in action” in the Bible. In New Testament biblical times, a centurion was the commander of one-hundred soldiers in the Roman army. This particular centurion lived in Capernaum, a thriving town on the Sea of Galilee, and had been instrumental in building a synagogue for the Jews there. Though he was a gentile, he had a great affinity for the people of Capernaum, and was a godly man, well respected by all. Luke 7:2-10 tells us the story of the Roman centurion. This centurion was endeared to his servant, who was sick with the palsy (paralysis). The local physicians were unable to help him. This particular servant was very valuable, which is perhaps why he was compelled to seek out the infamous “Great Physician” to heal him. He even had the elders of the Jews intercede for his servant – recognizing that he was unworthy to approach Jesus with his request in person. He showed the Lord great respect, recognizing His authority was from God. He assumed a position of humility as he voiced his concerns and request. Haughtiness never earned favor with anyone. He trusted the Lord to perform all that was necessary for his servant’s healing. He recognized that Jesus, in His physical form, wasn’t needed to heal his beloved servant. Verse 9 is the key verse in this story. Jesus marveled at the centurion’s great faith! He admonished the crowd as He said, “I say to you, I have not found such great faith, not even in Israel!” Lastly, we see the centurion’s servant healed, by the Word of the Lord, at the very hour it was proclaimed. 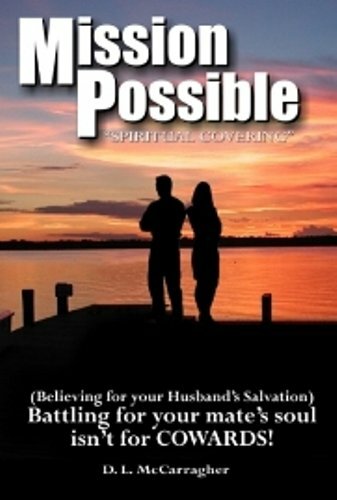 Below is an excerpt from MISSION POSSIBLE – Chapter 3 – Faith as a Mustard Seed. Jesus said, “To what shall we liken the kingdom of God? Or with what parable shall we picture it? It is like a mustard seed which, when it is sown on the ground, is smaller than all the seeds on the earth; but when it is sown, it grows up and becomes greater than all herbs, and shoots out large branches, so that the birds of the air may nest under its shade” (Mark 4:30-32). When we have faith so small it seems insignificant, God can grow it into something sturdy and supportive that even others can “nest in”. In Matthew 17:20 Jesus again said, “… for assuredly, I say to you, if you have faith as a mustard seed , you will say to this mountain, ‘Move from here to there,’ and it will move; andnothing will be impossible for you.” All things are possible with God! One of my daily devotionals, “Streams in the Desert” by L.B. Cowman, has an entry by an unknown author named C.H.P. He talks about a passage written by Paul in the book of Galatians: “Before this faith came, we were held prisoners … locked up until faith should be revealed” (Gal. 3:23 NIV). We are set aside for a time to learn a more excellent way of faith. Moses, Joseph, Paul, Silas, and even John all learned about being “put aside” for a season to be locked-up to faith. Commit your circumstances to God. praise Him, and claim Romans 8:28 that “He will work all things to good for those who love Him and are the called according to His purpose.” Isaiah 64:4 promises that God “acts on behalf of those who wait for Him.” Others will receive insight and blessings because you were “locked-up” to learn the way of faith.